The League of Legends Mid-Season Invitational final is the most-watched esports match ever. The final, which took place last weekend, and saw China’s Royal Never Give Up Triumph over Korea’s King-Zone DragonX, was viewed by more than 127 million people. The previous record of 106 million viewers, also held a by League of Legends match, was set at last year’s World Championships semi-final, in which Royal Never Give Up lost to eventual champions SK Telecom T1. Impressively, that match took place in Shanghai – local time for the home team – whereas MSI’s finals took place in Paris, meaning the significant Chinese audience stayed up pretty late to watch RNG’s 3-1 triumph over their Korean rivals. League of Legends is one of the world’s most popular MOBAs, but it’s not quite king of the castle, as our list of the best MOBAs shows. The viewing figures, as reported by Esports Charts, showed that 127,551,726 people tuned in to watch the match in total, with more than 126 million of those watching in the Chinese language (there were surprisingly few viewers watching in Korean – less than 150,000). Potentially more staggering is that Chinese viewers were responsible for more than two billion hours of watch time throughout the entire tournament. That popularity is in part due to the rivalry between China and Korea on League of Legends’ biggest stages. SKT’s victory over RNG last year is just one example of a continuing battle for supremacy between the two regions, and the MSI final marked the first time a non-Korean team had beaten Korea in a major tournament in more than three years. The Mid-Season Invitational is a worldwide tournament operation between League of Legends’ spring and summer tournaments. 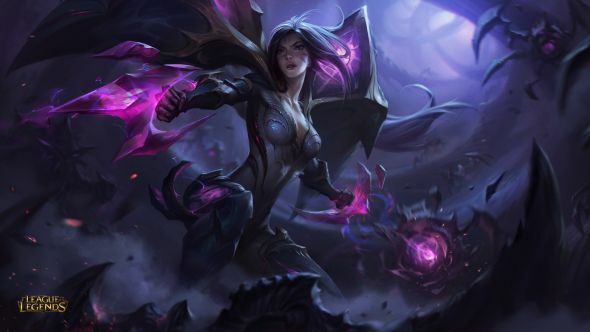 The Summer Split for both the NA and EU LCS begins next month, so keep up to date with our League of Legends patch 8.11 notes, which feature important changes to marksmen as well as new champion Pyke, the Bloodharbor Ripper.